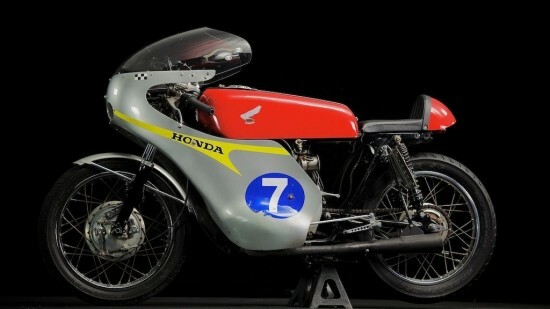 No matter how far away you are from a racing Honda from the 1960’s, you will know it is a Honda racing bike because of the combination of Red and Silver. Almost a fire engine red on the seat and tank, and a brushed aluminum color for the fairing. 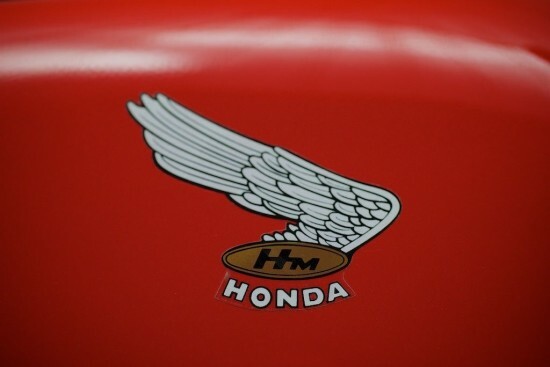 This combination, with a rider by the name of Mike Hailwood did a lot for the Honda name, and did a lot on the tracks of the world. 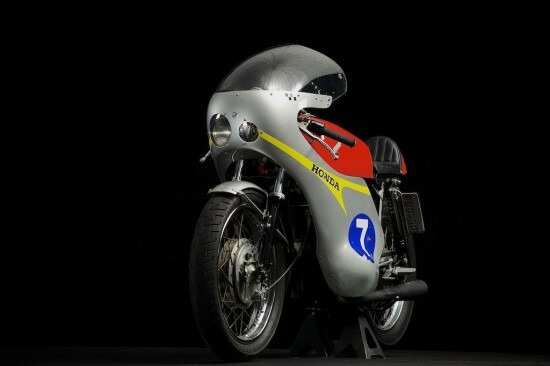 The Honda company has made a major effort to insure that their racing bikes stay within the company, so this 1973 Honda CB RC166 replica will be the closest you will be able to get unless you take a trip to Japan. Built on a 1973 Honda CB 350 platform, this little gem not only looks like a million bucks, it is a blast to ride as well. 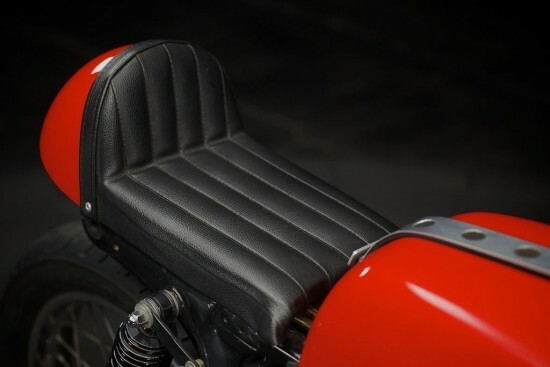 Hand built by an industrial designer, this bike pays homage to the famous RC166 that Mike “The Bike” Hailwood used to devastating effect in the 1966 and 1967 Grand Prix series. Obviously this bike doesn’t have pistons the size of quarters and valves the size of pencil erasers. Nor does it spin up to 20,000 RPM. It does however, look the business, with just the right amount of patina, scratches, and cobbyness. The drum front brake set-up was lifted from a 1968 vintage bike, while pretty much everything else are hand built, one offs. 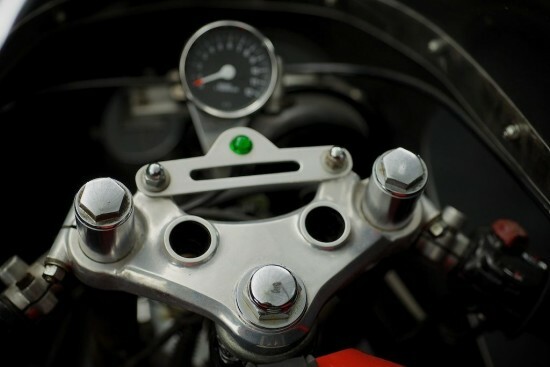 You will appreciate all the little details, and functionality of this very neat motorbike.